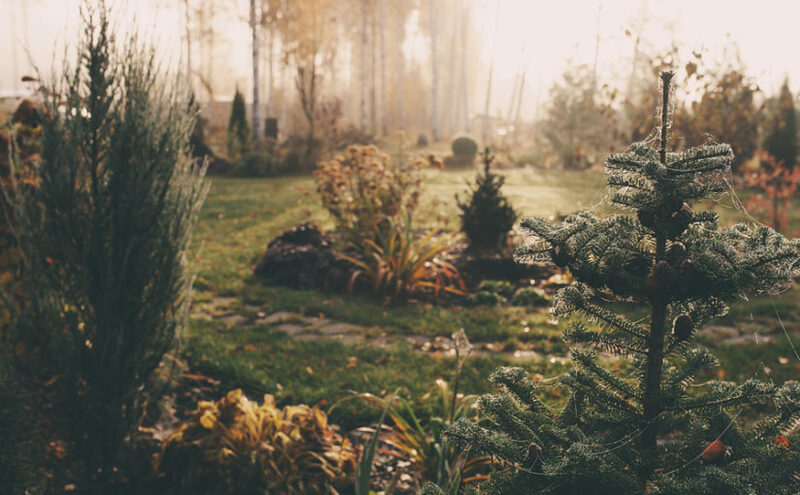 But to enjoy your outdoor space at its best in the spring and summer, there are some important tasks to get out of the way during the winter months, along with some non-essential but beneficial forward planning. Here are some January garden tasks for different weather conditions, so whatever the coming weeks bring, you can have your outside space back into good shape by spring. A fairly settled end to 2018 does not mean the first weeks of 2019 won’t be cold, so be prepared in case subzero conditions set in. Make sure outdoor water pipes and taps are protected with lagging and tap insulation sleeves, and use frost fleece or old carpet (unless it’s foam-backed) to protect roots and flowerbeds if necessary. Fish are usually fine in cold weather, although they will be less active, but if there’s a risk of your pond icing over, place a floating object such as a tennis ball in the water to help maintain an air pocket. It can be especially hard to get much done if a prolonged spell of wet weather sets in, but the good news is that rain can take care of some of the work for you. Freshen up bird baths so the new rainfall isn’t landing in stagnant water, and dig over any bare soil that has been frozen over the winter, but thaws once some rain hits it. You might feel the urge to give the grass its first cut of the year, but resist – it’s better to do this in dry conditions, and the longer grass will actually be a welcome habitat for small creatures in the meantime anyway. Take action before windy days, as it’s no fun trying to tie down loose garden fixtures in gale-force conditions. If possible, move pots indoors or place them against a wall that shelters them from the expected direction of the winds. Afterwards, take the tidy-up in stages – small debris first in a quick sweep, then any larger items. Finally inspect for permanent damage such as broken branches or smashed pots, and prune, repair or replace as needed. Make the most of any warm and sunny days – they’re a great opportunity to make headway before spring, as well as topping up on your sunlight exposure after the dark days of winter. You can get out on the milder days and do some basic checks, replenish bird feed and replace any that shows signs of mould, and enjoy the wildlife visiting your garden already. These are also good days to give pots, panels and greenhouse window panes a first clean of the new year, so there’s less work to get them really gleaming once spring arrives.